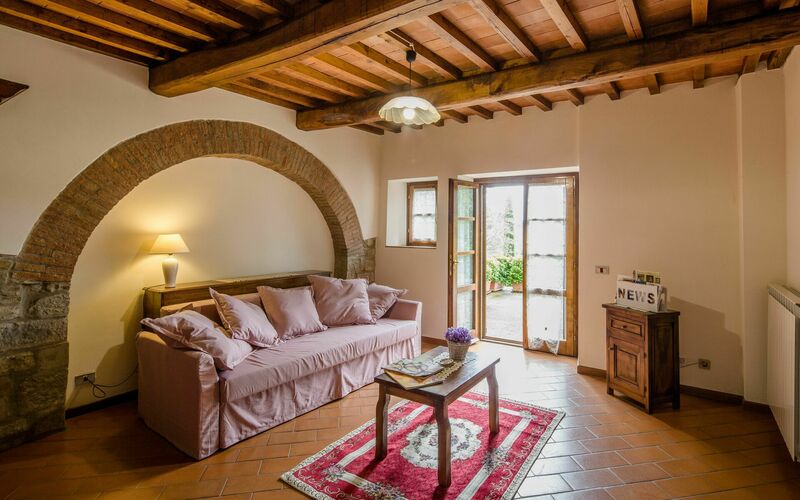 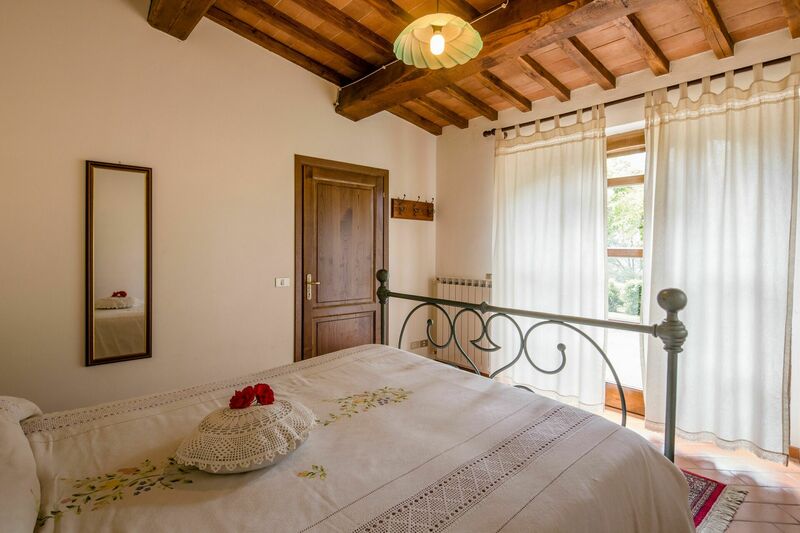 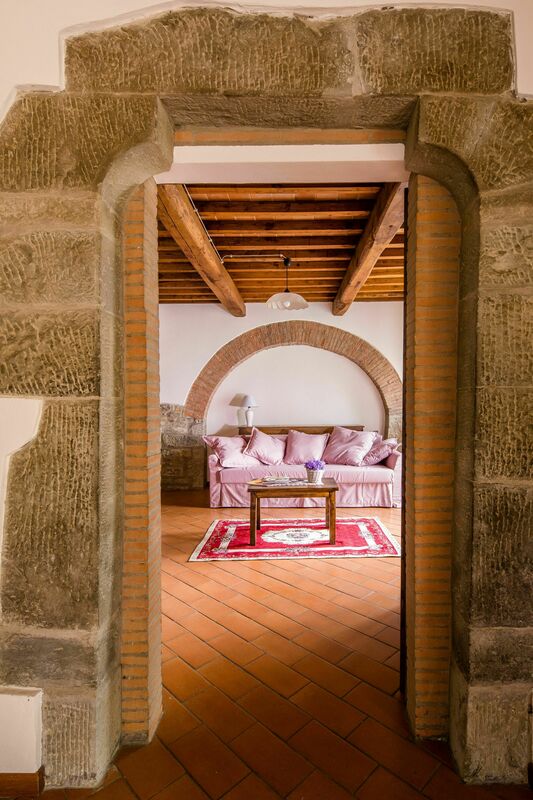 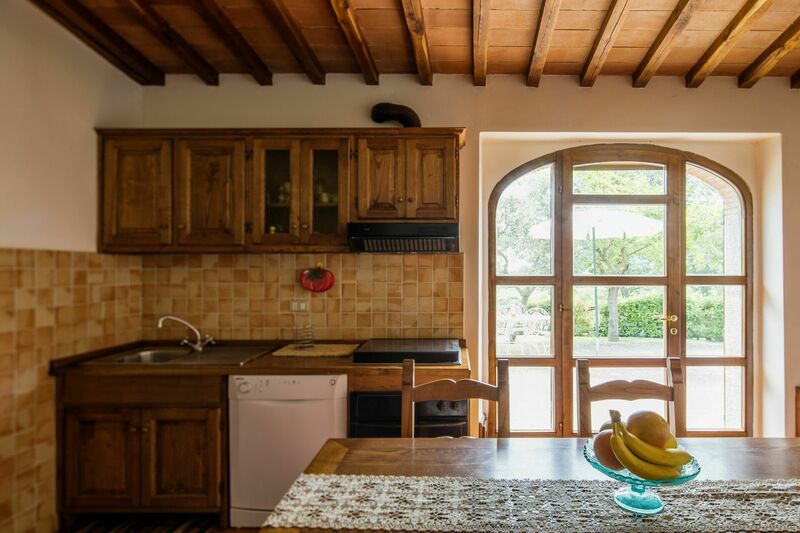 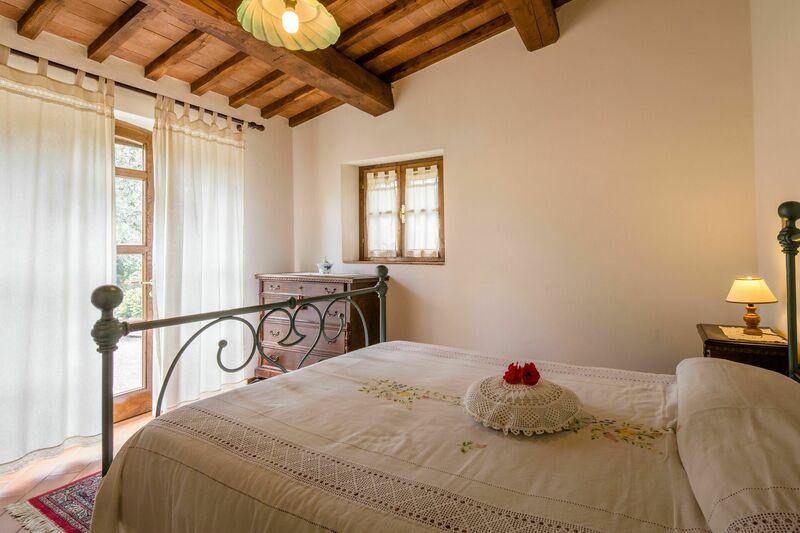 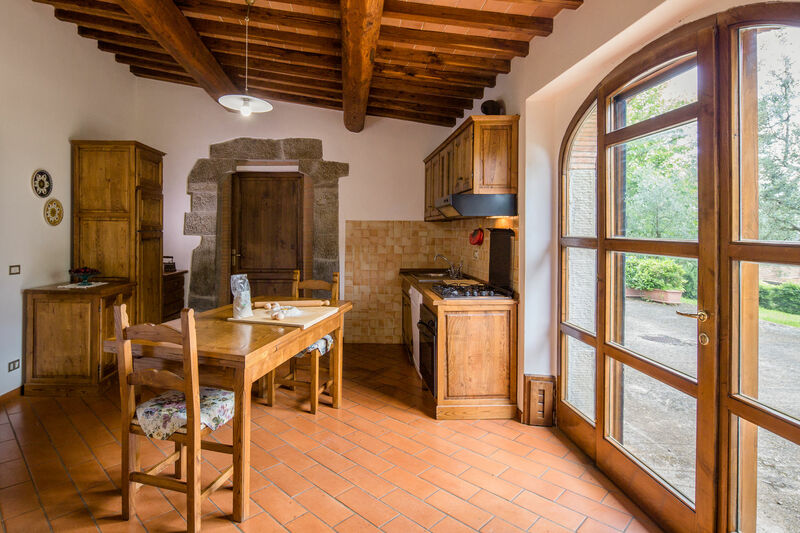 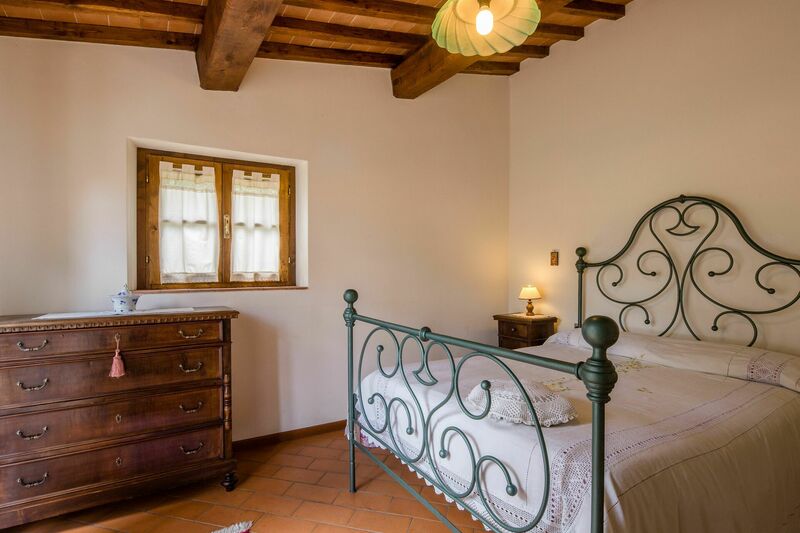 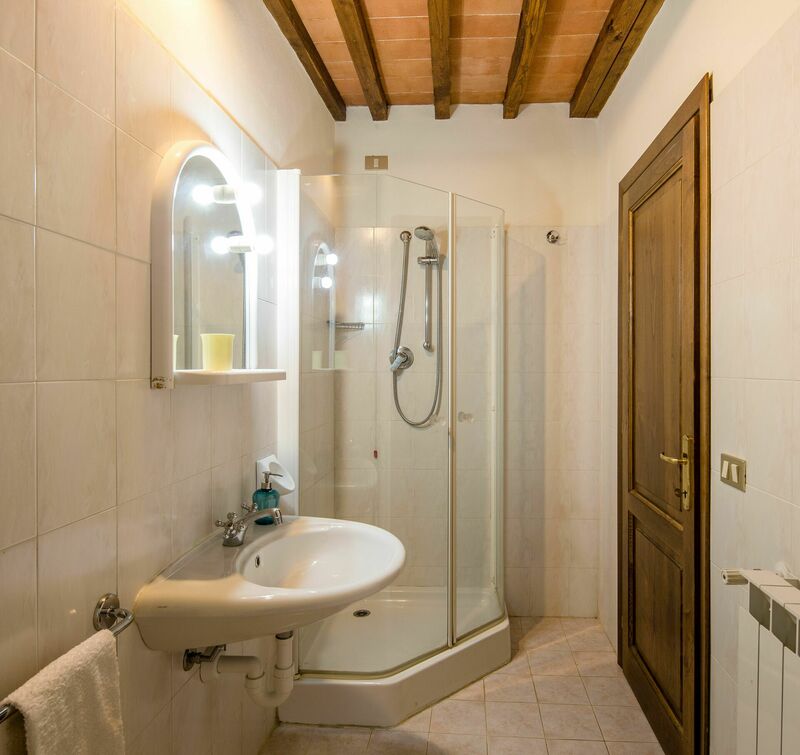 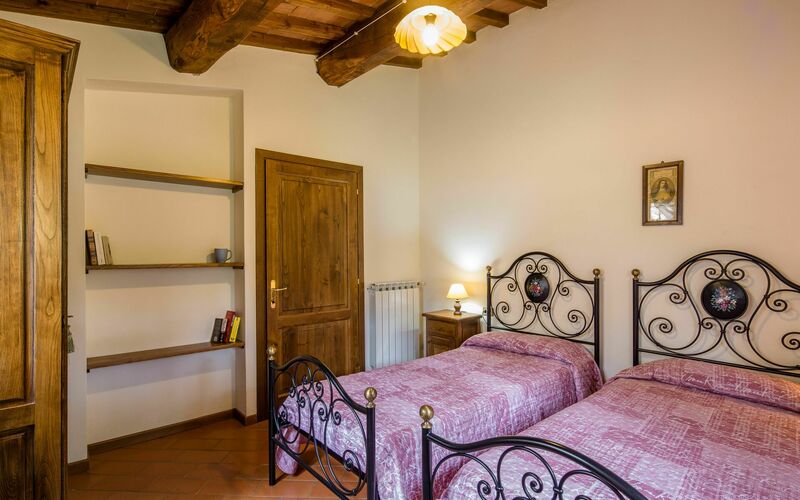 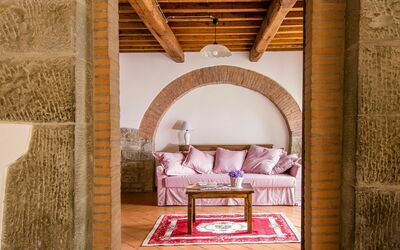 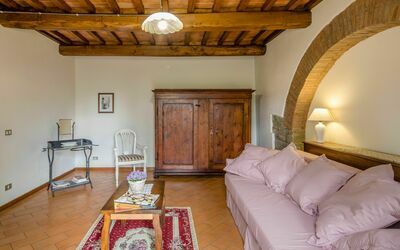 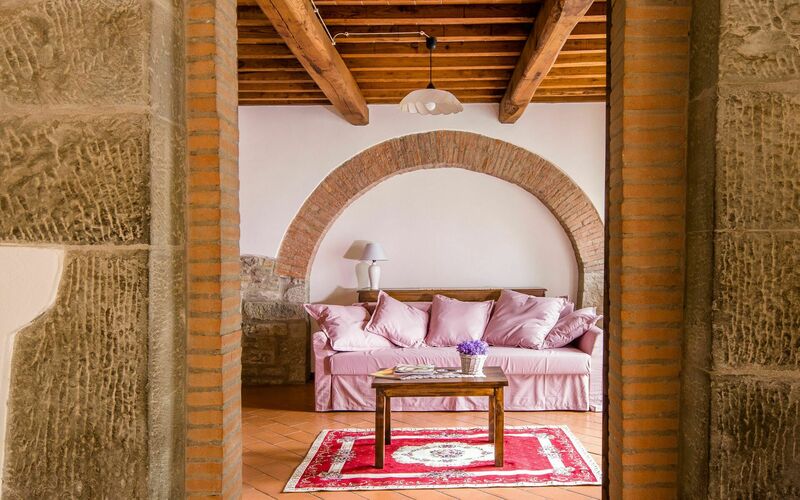 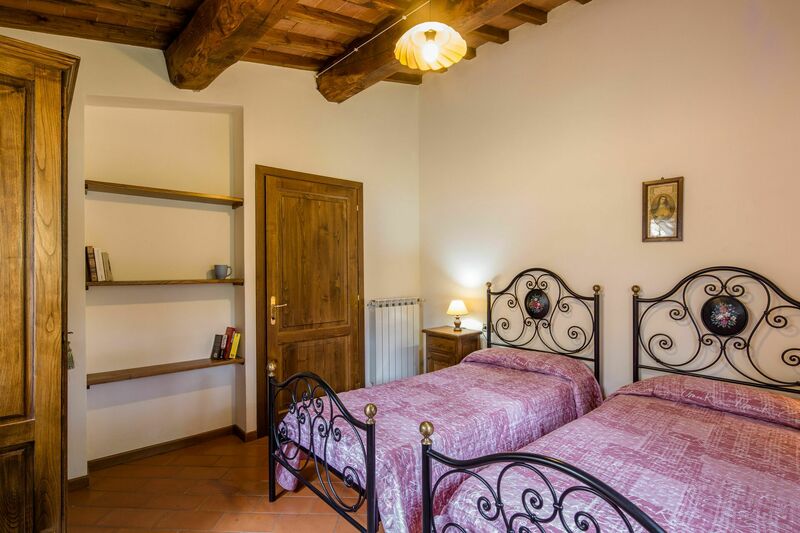 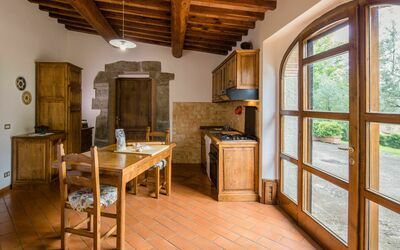 Villa Le Capanne is a lovely property having a total of four private units that is conveniently located 1 km (830 ft) from Pieve Di Chio, Italy in the tourist area "Cortona And Surroundings" and only 17 km (11 mi) from Cortona. Villa Le Capanne, among other amenities, includes also WiFi internet and shared pool. Noceto (82sq m) is a two-bedroom unit with two bathrooms that is built on one level and can accommodate up to six guests. In the unit is available WiFi internet connection. 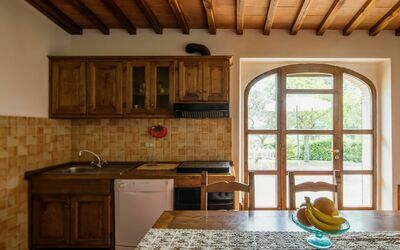 Kitchen (19 m2): well equipped kitchen, dining table (people: 6), fridge, freezer, stove top, oven, toaster, american coffee machine, WIFI internet, mosquito net, exit to the garden. 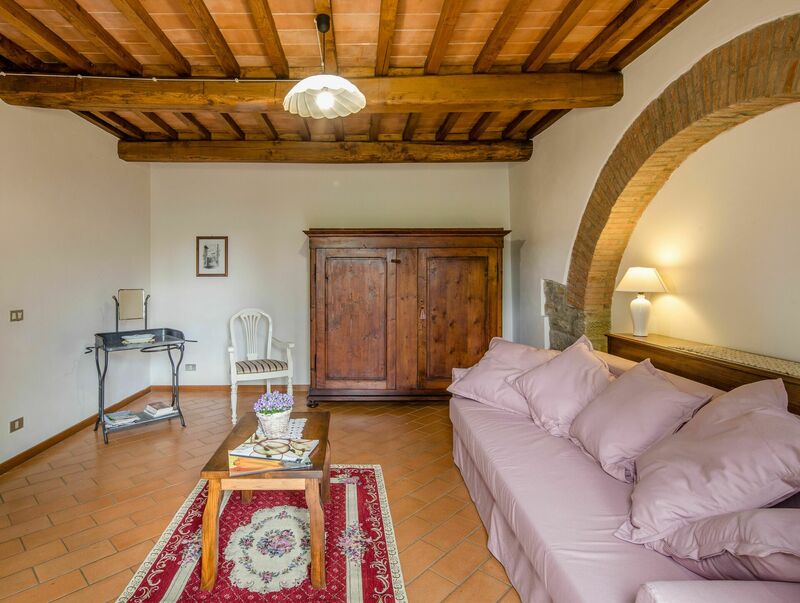 Living room (22 m2): armchair, sofa bed double (width: 160m, length: 200m), WIFI internet, exit to the garden. Bedroom 1 (15 m2): double bed (width: 160m, length: 200m), WIFI internet, mosquito net. 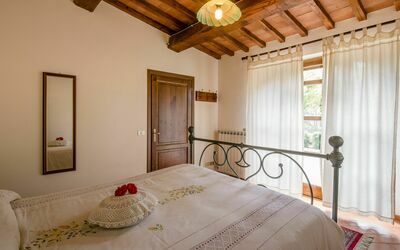 Bedroom 2 (15 m2): two single beds (width: 80m, length: 200m), WIFI internet, mosquito net. 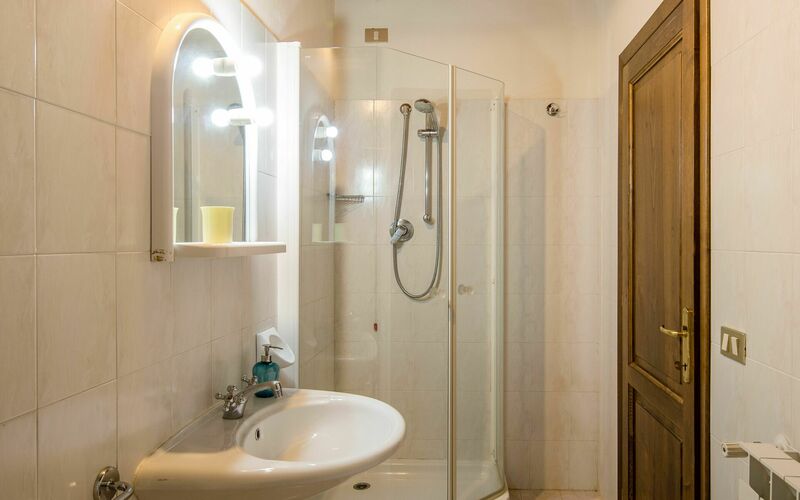 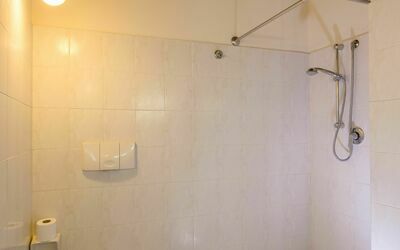 Bathroom 1 (6 m2): basin, toilet, bidet, shower, iron, hairdryer, washing machine, WIFI internet, mosquito net. 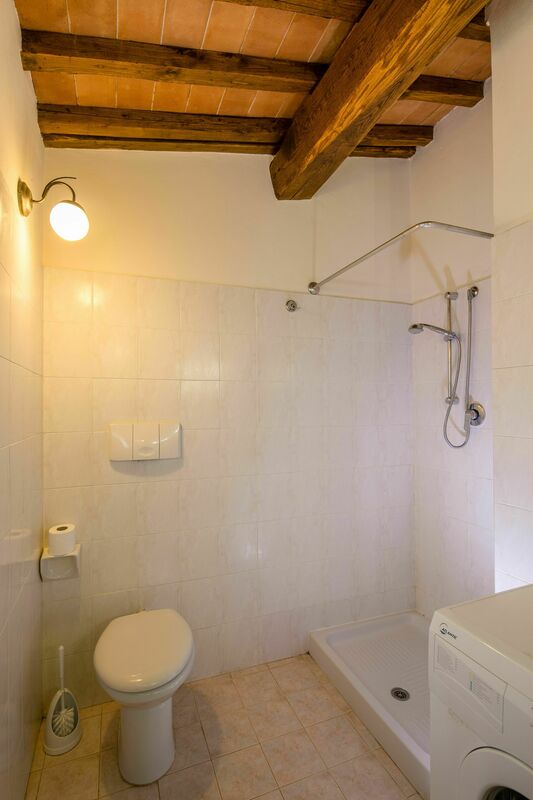 Bathroom 2 (5 m2): basin, toilet, bidet, shower, hairdryer, WIFI internet, no window.